Cimteq is exhibiting at Interwire 2019 taking place on May 14th to 16th May 2019 at the Georgia World Congress Center, Atlanta, United States. 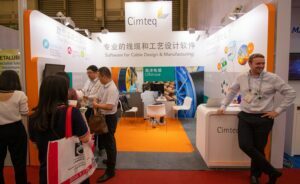 Experts from Cimteq will be on hand during the exhibition to provide one to one demonstrations on the capabilities of the software for Cable Design & Manufacturing. CableBuilder was born out of the demand within the cable manufacturing industry to simplify the complex management of cable design data from the initial design concept all the way through to delivering the full bill-of-materials directly to the ERP system. Dynamically produce accurate production costs & bill-of-materials based on customer required length, Auto-generate datasheets, manufacturing instructions and management reports in any format, full cable design search facility and reuse of existing designs, generate 3D photo-realistic images with Autodesk inventor, full ERP integration with all production information and compliance & quality assured. CableMES is a Manufacturing Execution System (MES) specifically for the wire and cable manufacturing industry which is proven to provide a very quick return on investment. It maximizes plant production, improves quality, reduces inventory and ensures on time delivery. How can our software transform your cable manufacturing business? Book a one to one demonstration. Visit us at booth #1607. Book a one to one demonstration with one of experts to discover how our software can transform your wire and cable factory. How Smart is your factory? Join us at booth 11D15 to discover how our software can transform your company. 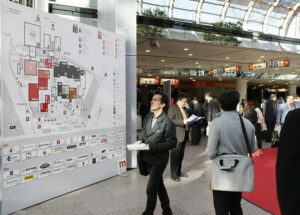 Wire Dusseldorf is the world’s biggest and most important forum of the industry’s experts.